Sunday's snow was just as expected... other than it STARTING as snow. 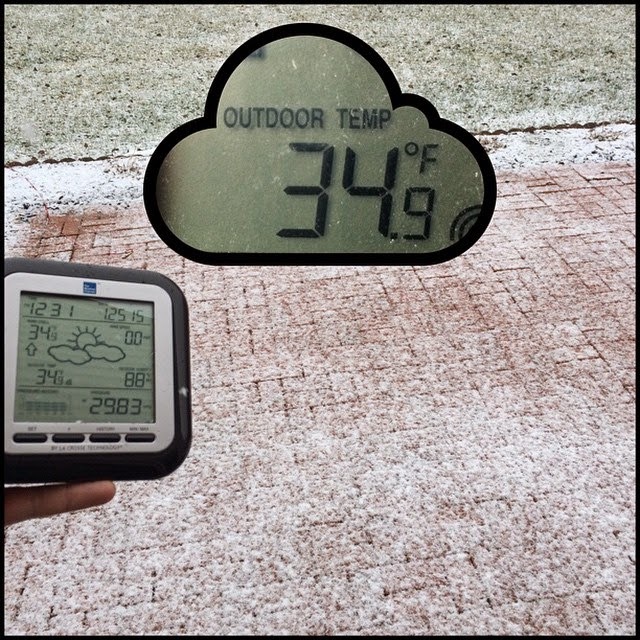 Temps were a couple degrees above freezing on the surface, but the warm air was so shallow that the snow did not have time to melt into rain at first... but it did fall as rain most of the afternoon. 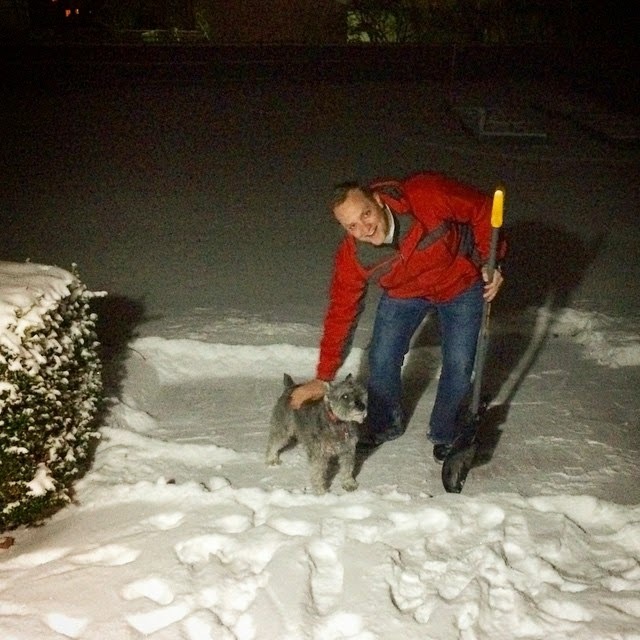 Monday I posted on my Facebook page that I would help out anyone not capable of shoveling their driveway. I got a HUGE response and did as many as possible. Great to meet so many of you and lend a helping hand. Then I got home and Buckeye said he needed some help too for his patio when he goes outside. Alright a couple systems on the way for this week. The first one will be Thursday afternoon and evening. Our temperatures will be near 40° in Columbus in the afternoon so it will start as rain. We will transition over to snow by the evening. And possibly some brief snow on the back side of the system. 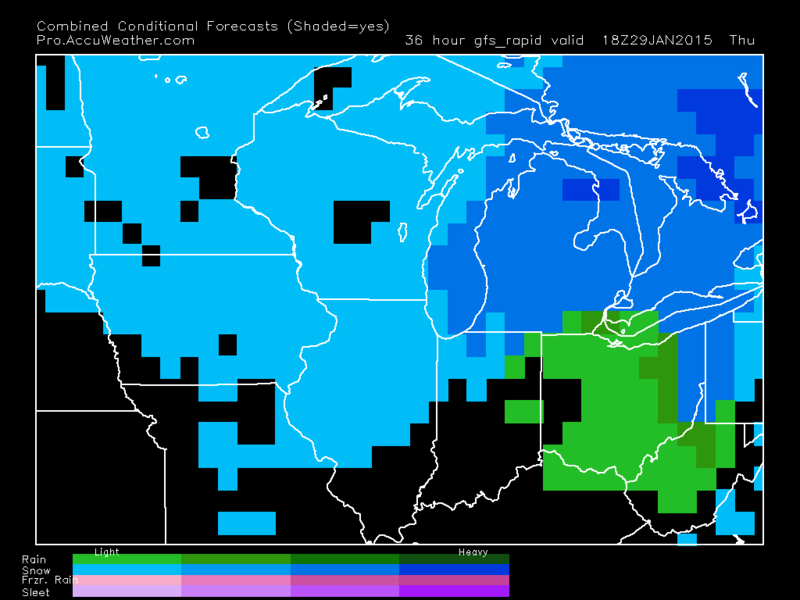 Accumulations will be light to no snow sticking... and the rain beforehand will actually melt some of our existing snow. Sunday looks to be a LOT like last Sunday. I will have another update, so check back in over the coming days... because the models still are not agreeing on track or timing exactly... 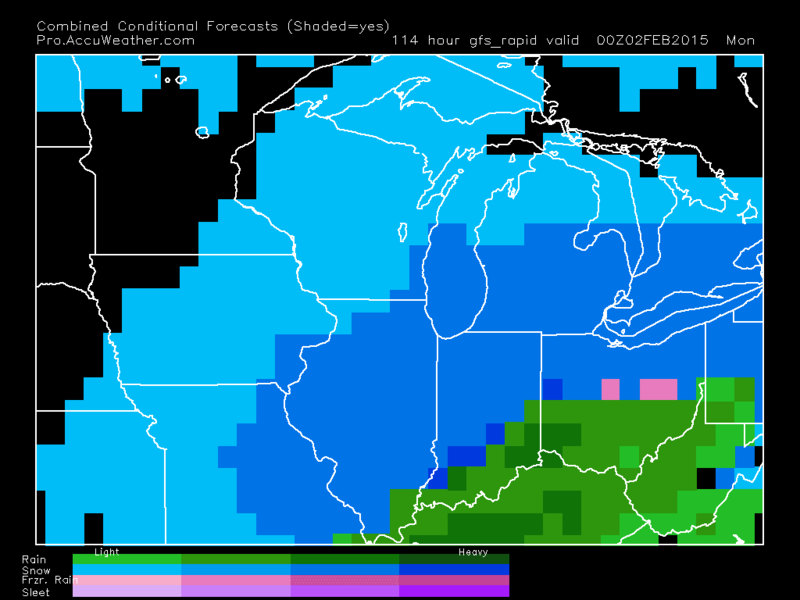 BUT according to the latest models, the heaviest precip will be Sunday night. It looks like Central Ohio will start off with some light snow then transition back over to the wintry mix with mainly rain south of I-70. 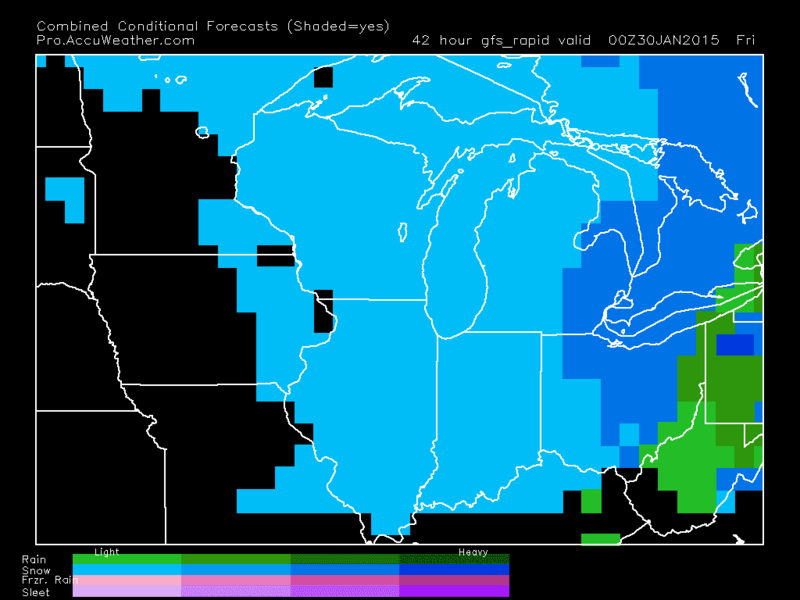 Some of the models have the rain/snow line a little farther south than I-70, so please check back for updates. Monday morning. 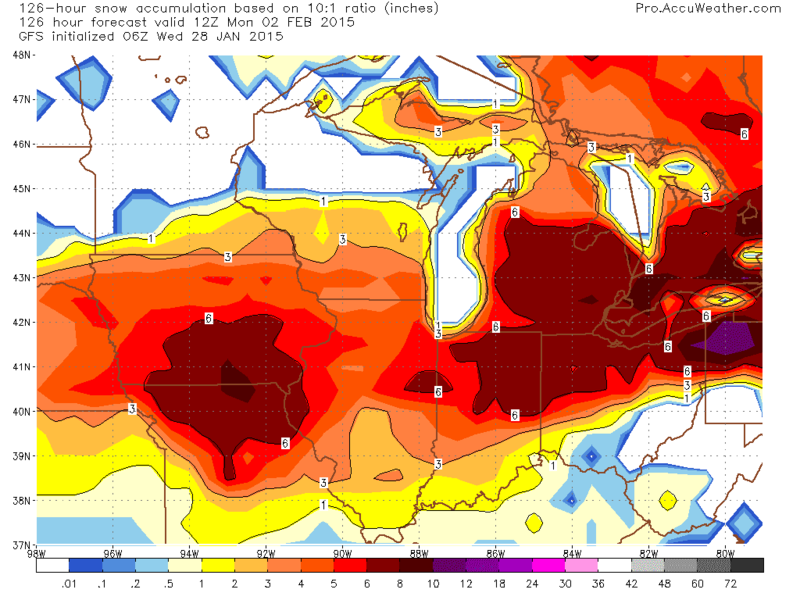 The northern third of Ohio will see upwards of 6" of snow for many locations. 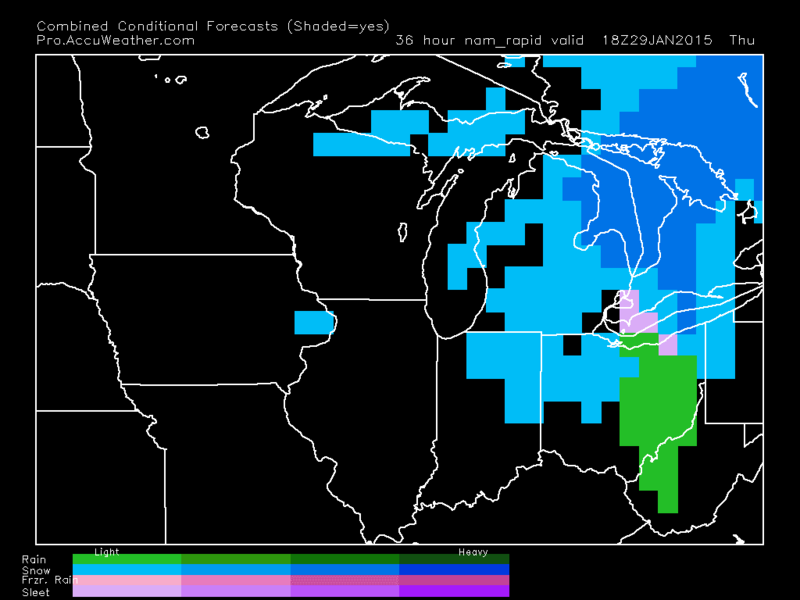 Southern Ohio will see dramatically less and the I-70 corridor will see the drop off between the two totals. Here is another look. Again, placement of the snow totals is hard to say at this time. But I just wanted to give you a heads up and will be back with more over the coming days. Have a good one!